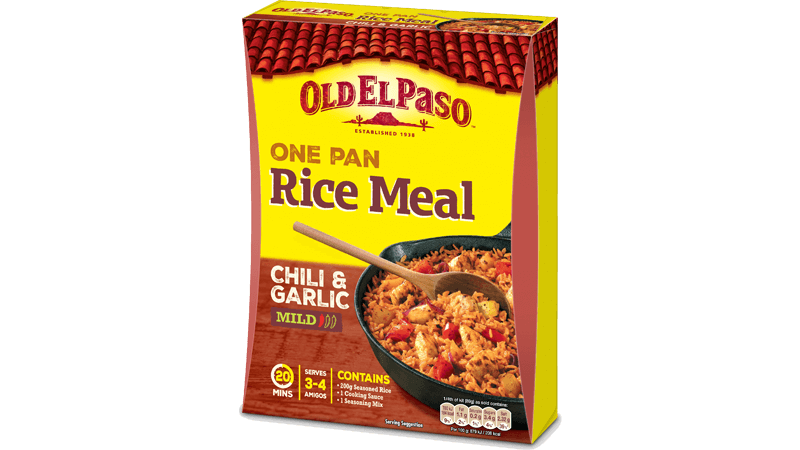 Seasoned rice full of Mexican flavour, tender chicken, crunchy pepper and fresh onion, simmered in a delicious Chilli and garlic sauce. Slice the chicken breasts, peppers and onion into medium sized chunks. Drizzle 2 tbsp of oil into the pan, turn the heat up and fry the chicken until it’s nice and browned. Throw in the vegetable chunks, stir it up and leave to cook for 2 minutes. Toss in the seasoned rice and give it a good stir for 1 minute. Pour the sauce pouch, spice mix and 350 ml of water into the pan and stir. Bring to the boil then reduce to a medium heat and leave to simmer for 10 minutes, stirring gently from time to time. 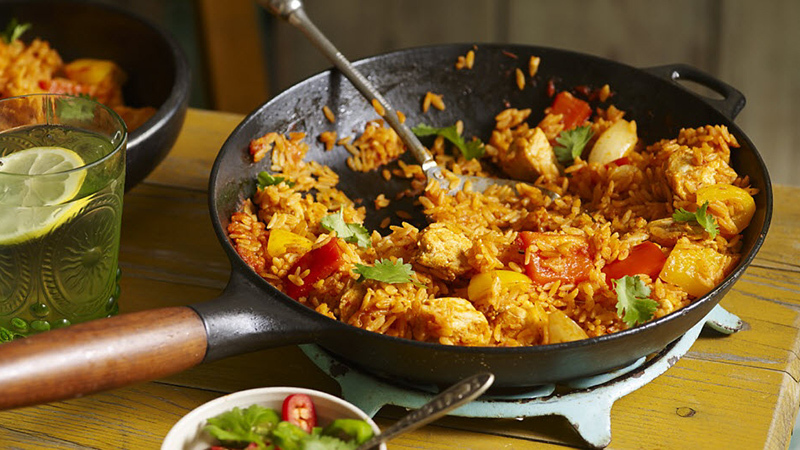 Serve straight from the pan in the middle of the table, surrounded by your friends, cousins, aunts and uncles.